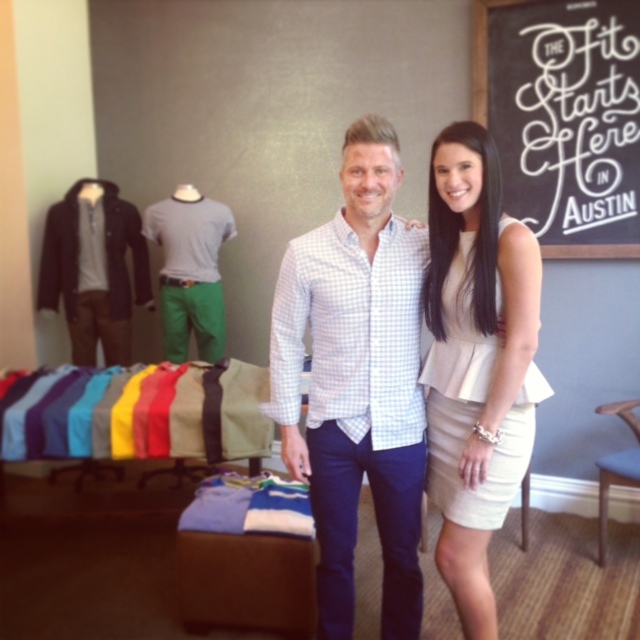 This week I was invited to a sneak preview of Austin’s new clothing store for men, Bonobos Guideshop. I have heard of Bonobos before, but honestly never paid that much attention, because I actually enjoy shopping … I’ll touch on that comment later. The name “Bonobos”? … anyone? anyone? … is the name of a type of great ape found in Central Africa. The bonobo is popularly known for its high levels of sexual behavior … is this an insulting stereotype? … or right on? … hmmm. So going into the preview of the “am I a man or an ape” store, I was a little hesitant from the start. I assumed I knew the concept well, thus I didn’t think it would apply to me. Initially, I thought it was only for men who want to buy a wardrobe all at one time. Huh? What does this mean? Some men like to shop for their wardrobe all at once, so they don’t have to go shopping again until years later … haha. This is actually a lazy shopping method for guys who hate to shop, and boring for guys who do like to shop … like me. 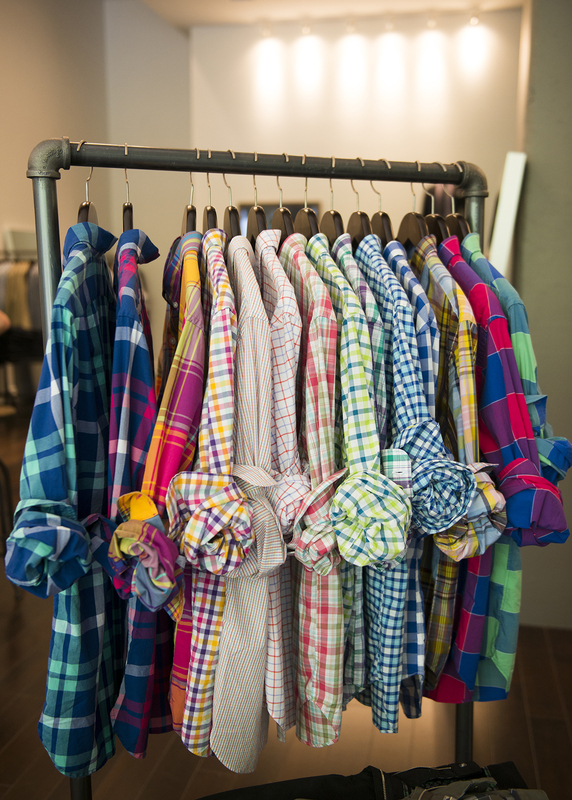 Don’t get me wrong; a client can definitely stock his wardrobe for the year all at once with Bonobos multiples in different colors and patterns, but instead I believe that the experience will have him coming back often. Since I already RSVP’d, I was going to make the preview, and go through the motions. I was already preparing myself to play the “I need help shopping guy” role.This way I wouldn’t offend the process, and just let the “guide” guide. (This is what they call their personal shopper/stylist that assist each client in the store … hence the name Guideshop). 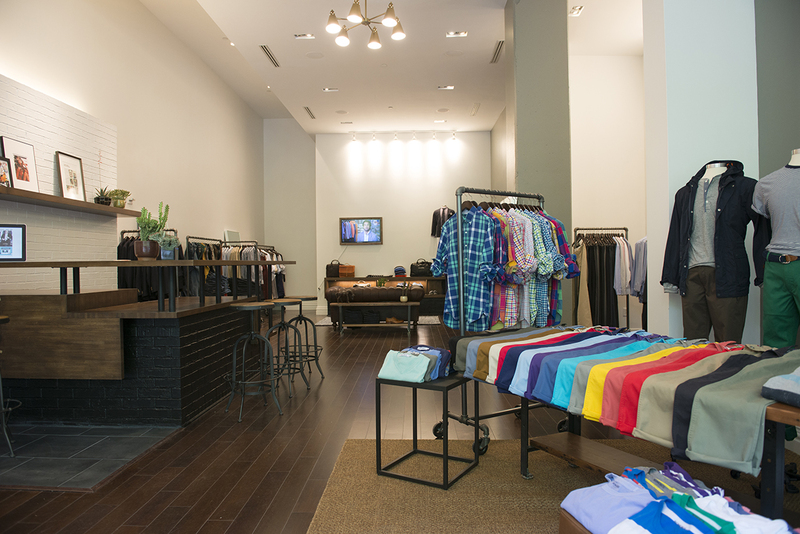 As I walked in, I noticed a very open floor plan with various groupings of shirts and pants. As I continued to make my way towards the back, I took in all the different offerings from suits, golf attire, swimwear to a little sprinkle of leather bags and shoes. This created a feeling of options without being overwhelmed … a la H & M. The store has an upscale presence without making you feel that you’ll blow your budget just buying one pair of pants or a shirt. Sam and Tara, my guides for the preview, greeted me quickly and offered me a beer … what? … I never get beer at Nordstrom?? Ok, I am starting to loosen up a bit and have more of an open mind, maybe this might not be so bad. After the beverage offering, I was asked if I wanted to start trying on clothes … ummm yeah! 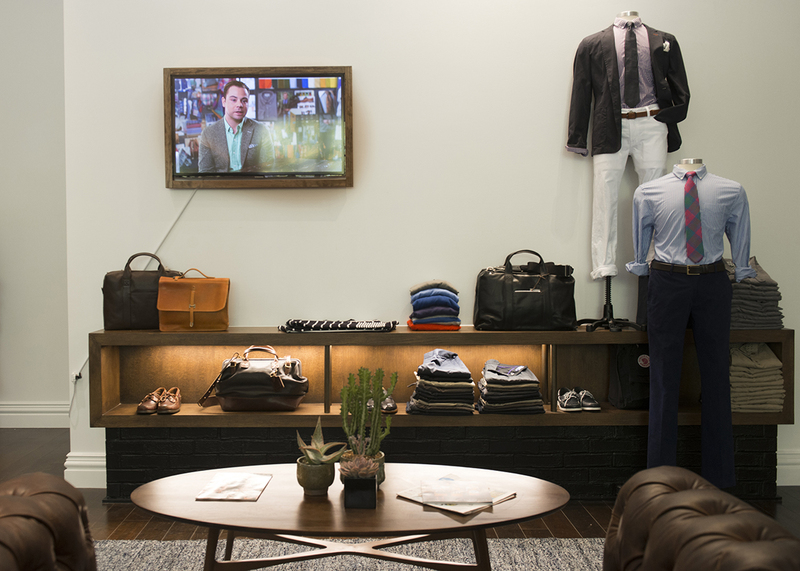 I was in the market for some new chinos, so I started there, and worked my way through several outfits. My first thought was that I was impressed by the quality of the clothes. I’m very particular of the clothes I wear, how they fit, and their quality. I know… shocking! This is important to me, because this is how I gauge my willingness to pay a certain price level. Make sense? I was having a lot of fun at this point. This was becoming an experience different than the typical retail store … far different! Sam took the lead as my guide to finish the fitting, as Tara attended to other clients. He was very intent to listen to me when I described how I like my jeans, chinos, and shirts to fit. He then proceeded to bring me items that matched perfectly. Wow! Am I really allowing someone to offer me advice?? This was key to me, and made the experience more personal and fulfilling. The concept is as simple as shopping online, but you get to try it on before you place the order, making it a total win-win. 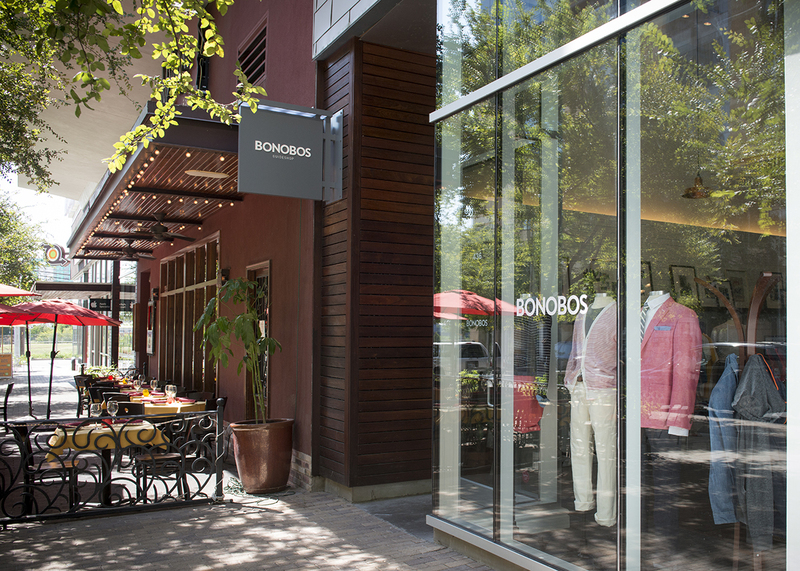 There is nothing retail about Bonobos! After I finished my fitting I wanted to know how to go about making some of these items part of my personal wardrobe. 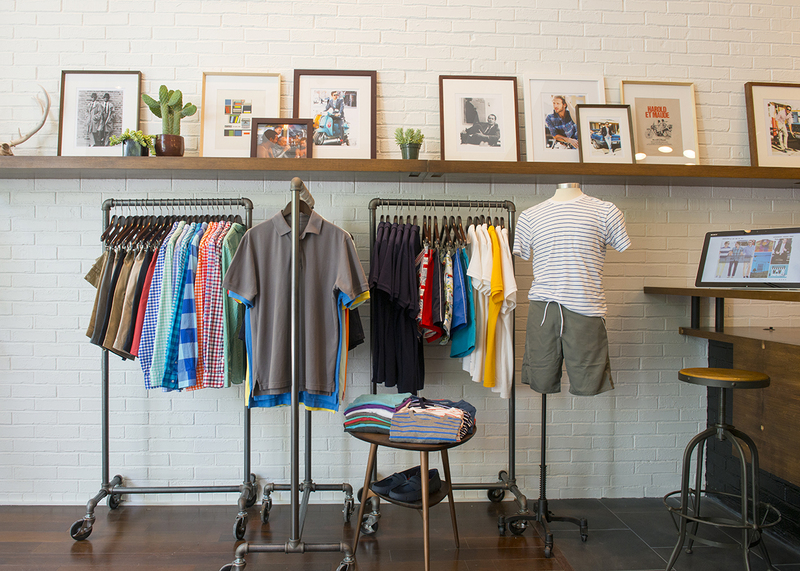 Here is where it gets cool … you decide on all the items that you love, get your sizes and colors dialed in, then your guide creates your personal profile that generates your order. In a blink of an eye the order is sent to a Customer Experience Ninja (the actual job title) who gathers your order in the darkness of the night. I imagined them wheeling nunchucks fighting other Ninjas to fulfill it quickly … then stealthlike, the clothes are delivered to your doorstep … hmmm maybe I am getting a little carried away, but it is that easy! 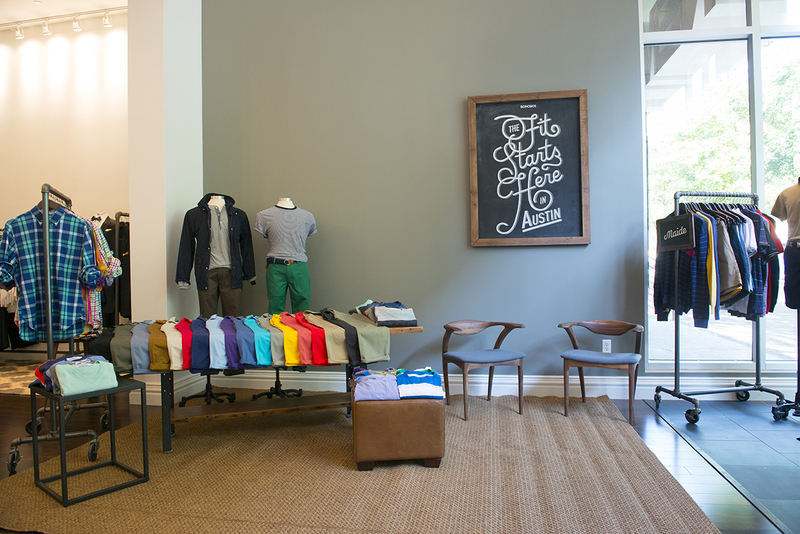 I honestly became a fan of Bonobos immediately, and had a lot of fun with my guides at the fitting. I know the name takes a few times to say comfortably, but these guys have a great concept that is really catching on. 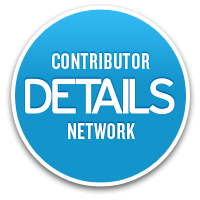 I am a believer, and even though I like to shop on my own, my guide is now on speed dial. So don’t “monkey” around, and make Bonobos Guideshop a destination for a new experience in clothes buying. Ok, Ok, the “monkey” pun is bad, but I do highly approve.